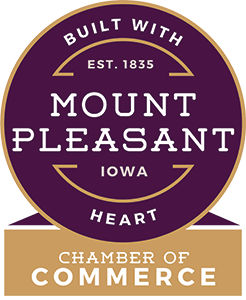 The 26th Annual "Music in Motion" Show Choir Invitational will take place at Mount Pleasant Community High School, 2104 S. Grand Ave. It begins at 9:30 am and will continue throughout the day and evening until final awards are given out at 10:15 pm. Groups will be here from South Saint Paul (MN), Hannibal (MO), Pekin (IL), Central Lee, Pella, Fort Madison, Davenport Central, Cedar Rapids Xavier plus a special exhibition performance by Mount Mercy University. The Mount Pleasant Middle School will perform at 5:00 pm and Mount Pleasant High School at 9:50 pm. $10, good for the entire competition. Programs are free. Proceeds go to the Music Boosters.